If the following information does not answer your questions or if you would like more information, please see the video order form (PDF) or contact Steven Anthony at 301-419-8222 or by email at Santhony@Mahsnet.org. In 1998 the State of Maryland, through the Maryland Historical Trust and under the guidance of the State Underwater Archeologist, Susan B. M. Langley, Ph.D, provided a grant to MAHS to create a video training series in underwater archeology for public distribution. Diving into History: An Introductory Course in Underwater Archeology was the result of this initiative. Click here for the video order form (PDF). The Diving into History series serves as the key component of a core curriculum in underwater archaeology targeted to the general public. MAHS intends that this curriculum serve a dual purpose. First, as a training program for sport divers and other members of the public interested in participating in shipwreck exploration projects. Second, as a public outreach program for State Historic Preservation Officers seeking volunteers to assist with the execution of the state’s cultural resource management plan and the inventory of submerged cultural resources. MAHS believes that citizen involvement of this kind minimizes reliance on costly law-enforcement programs, provides new recreational activities for families, and expands water-related commercial opportunities for the business community. Step 1. Completion of Diving into History: An Introductory Course in Underwater Archeology. This course consists of ten 50-minute DVDs which cover the history of underwater archaeology, archival research, ship architecture, position fixing and search methods, surveying and mapping, photography and videography, conservation, law and ethics, and project planning and reports. 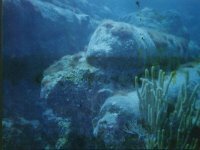 The videos contain informative lecture material interspersed with field footage showing actual underwater projects and depicting submerged archaeological sites. An Instructor Guide containing supplementary material and lesson plans accompanies the set of disks. It is recommended that each class be presented by a local expert who will amplify and supplement the DVD presentation. Additionally, it is recommended that the instructor supplement the lectures with readings from a relevant textbook. Step 2. Completion of an open-book essay examination based upon material included in the disks which entitles the successful student to a MAHS Diploma. Step 3. Completion of the MAHS Field Training Course. This video course introduces students to the steps involved in an underwater research project and presents land and underwater demonstrations of the use of the trilateration survey method to prepare a site survey. As an alternative to this video course, students who have successfully completed the Introductory Course in Underwater Archaeology and passed the exam are eligible to enroll in the MAHS Field School generally held in the late spring. Step 4. Completion of a MAHS Statement of Ethics (Found on the MAHS Member Application [PDF]). It is recommended that this statement be subscribed to by course graduates who desire to participate in underwater research projects under the supervision of State Historic Preservation Officers or other professional archeologists. Whether the video series is used as a component of the MAHS curriculum or as a stand-alone program, it will facilitate the training of underwater archaeology volunteers to support professionals in their field of work. Many underwater projects are dependent upon the assistance that only properly trained volunteers can provide. Opportunities for accessing this kind of training are usually limited to university campuses or the occasional specialty course. Through this video series, however, even the most remotely situated individual may obtain the information necessary for the pursuit of the adventure of underwater archaeology. This opportunity is now readily available due to the affordability of the video series and the “real-time” access it provides which transcends the limitations imposed by employment schedules and other personal commitments. The course has been designed to be user friendly and easily adapted to fit any curriculum or program. As a series of modular units which may be supplemented or extended, the course content is sufficiently generic to allow for local, regional or international amplification or illustration. As new procedures are developed for underwater applications, they may be added to the coverage provided in these disks. Additionally, those who wish to customize any of the video programs to incorporate local speakers and material are encouraged to contact us. With a relatively small financial investment, our video production company can modify any of the disks in the series to meet the special needs of the user. The Diving Into History series will facilitate the development of a talented pool of qualified individuals with high ethical standards who can be incorporated quickly into any research project without the need for extensive fundamental training by the professional underwater archaeologist. We anticipate that State Historic Preservation Officers, academic institutions, and private organizations will find the MAHS-trained volunteer to be a reliable and efficient partner in any maritime archaeology project. Session One: Introduction to Underwater Archeology. Introduces the student to the basic principles of underwater archeology and describes the six steps of an underwater archeology investigation. Introduces the student to the role that archival research plays in the location and identification of shipwrecks; the steps involved in developing a research plan and the various types of information that can be retrieved. Introduces the student to different types of ship construction and how to recognize ship components that can serve as important artifacts to date and identify shipwrecks. Session Four: Position Fixing and Search Methods. Introduces the student to the latest remote sensing equipment and the technology used to locate underwater sites. Session Five: Surveying, Recording and Mapping. Introduces the student to basic underwater surveying, drawing and mapping techniques. Introduces the student to the use of photography and videography to document a shipwreck site. Introduces the student to the basic concepts of conservation, preservation and restoration of artifacts. Introduces the student to the laws relating to historic shipwrecks and the role of ethics in protecting shipwrecks and other submerged cultural resources. Session Nine: Project Planning and Reports. Introduces the student to the procedural issues relating to the conduct of an underwater archeology project and how to prepare a report documenting the results of an underwater investigation. Maritime Archaeological and Historical Society, Inc.
For further information or for international orders, please contact Steven Anthony at (301) 419-8222 or by e-mail Santhony@mahsnet.org. For people living in the Washington, DC area, MAHS also offers an annual 10-session Introduction to Underwater Archaeology live classroom course starting the last Tuesday in January. See course description or course schedule for details.